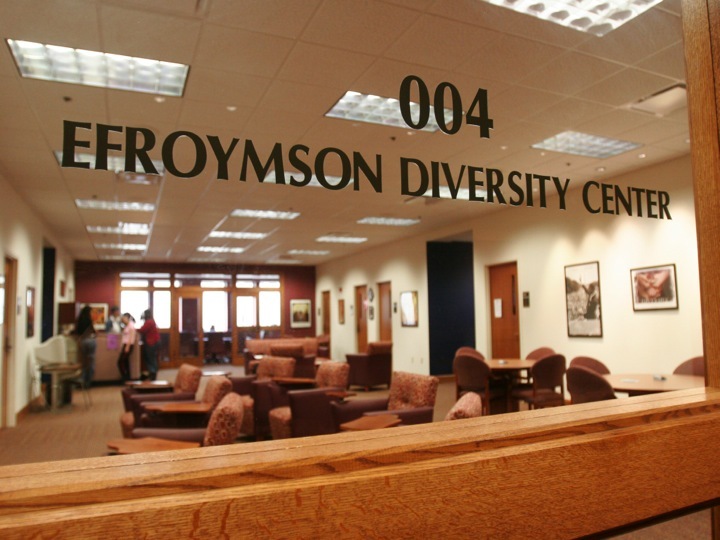 The Diversity Center is located on the ground floor of Atherton Union. Collegian file photo. Throughout the next few weeks, Butler students will have the chance to complete a diverse learning environments survey. According to a campus-wide email from the Office of Student Affairs, this survey will assess Butler’s campus climate and help to create an environment where all can be successful. The new survey will ask participants about racial climate, sense of belonging, discrimination and sexual misconduct within the Butler community. Butler has done surveys and focus groups in the past, but in a school where 82 percent of the student body is white, the voices of minority groups can be drowned out. However, this survey corrects for this problem by asking its participants about their backgrounds. Once the data is collected, this will allow for an analysis of how specific groups respond to the survey, rather than just all of the respondents as a whole. “Being able to break it out by demographic items, we are actually going to be able to see a little bit more about those students whose voices are not always heard,” said Bridget Yuhas, director of Student Affairs assessment and planning. The same survey is being conducted by UCLA at hundreds of other schools across the country. This will allow for an opportunity to compare the responses of Butler students to those of other schools. Butler is home to thousands of students, all of which have their own unique background. However, the school is no stranger to the critique that it has fallen short in its ability to create an inclusive environment for students of all backgrounds and communities. Khayleia Foy, a senior and president of Butler’s Black Student Union, said she supported the school’s different initiatives to address diversity and inclusivity on campus. Butler has been working on initiatives such as the new social justice and diversity core requirement. Additionally, the number of minority students at Butler has increased by more than five percent since 2010. The survey, which will take place between Jan. 23 to Feb. 11, will be sent out via email.